The annual ecumenical Good Friday service in St. Helens offers an opportunity to connect with community, participate in a Holy Week observance and grab a quick, light lunch — all in less time than it takes to stream a show on Netflix. This year's Good Friday service will be held at the Christian Church of St. Helens. "This is the first time the Christian Church is hosting the Good Friday one," says Pastor Justin Bruner regarding the service, now it its fifth year, which will be held Friday, April 19, starting at noon. The church has long-participated in the more established Thanksgiving ecumenical service. "We've been doing the Thanksgiving one for years and years," Bruner notes. This year's collaborative service will focus on the Gospel of Mark, which contains the biblical story of the crucifixion and resurrection of Jesus Christ. "Thirty minutes is pretty brief, so this will be focusing on the events from the Gospel of Mark and some hymns, and that's pretty much it," Bruner says. The 30-minute service will be followed by mingling and a light, free lunch, including fruitand cookies, says Bruner. The total runtime, based on past Good Friday community services, is about an hour, and is designed to fit within a workday lunch hour. 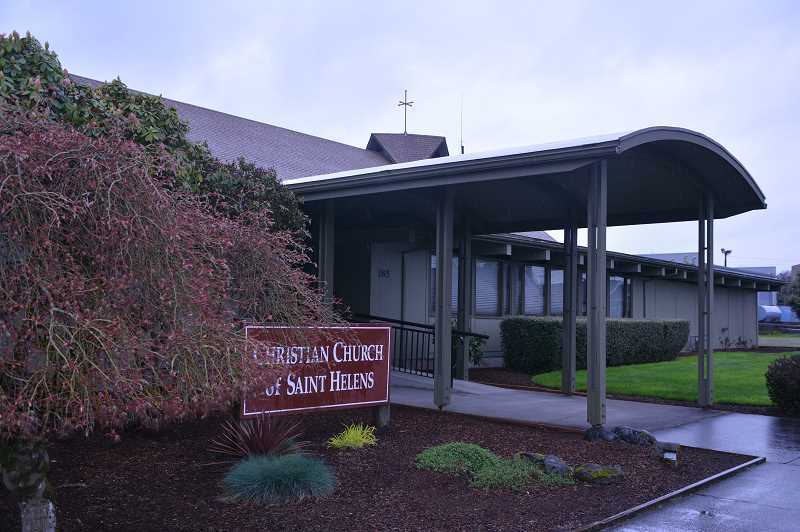 Churches participating in this year's Good Friday community service include First United Methodist of St. Helens, First Lutheran of St. Helens, Christ Episcopal Church, and Plymouth Presbyterian, the latter the host church for last year's Good Friday ecumenical service.